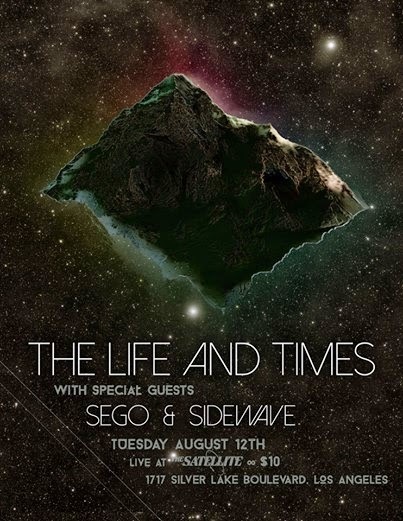 A meteor is approaching fast in the form of The Life and Times, Sego, and Sidewave this Tuesday at the Satellite! I believe doors are at 8:30 PM and Sidewave will destroy at 9 PM. Arrive early to catch this great band! And The Life and Times will bring the Lost Bees too! If you're not well acquainted with either band, here's the embedded players for your enjoyment.